Jerri Udelson has been called a “coaching pioneer and visionary.” She is one of the first one hundred people to be designated a Master Certified Coach (MCC) by the International Coaching Federation. Jerri is the founder of International Coaching Week, now in its twentieth year and celebrated worldwide in countries as disparate as Kenya, India, and the United Kingdom. 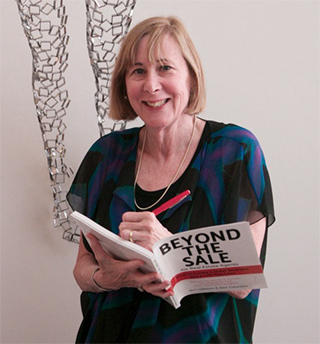 Jerri is the author (with Ken Tutunjian) of the recently published book, Beyond the Sale—for Real Estate Agents—How to Create a Great Business and a Life You Love: Discover the Secrets to Success, Including Seven Keys from Top-Producing Agents. Her coaching company, Entrepreneurial Coaching and Consulting, focuses on helping entrepreneurs, self-employed professionals, and real estate agents grow their businesses quickly and strategically, while also creating lives they love outside of work. Prior to starting her coaching business, she was a consultant to startups in Boston and a health services administrator. She is also a licensed real estate broker in Massachusetts. Jerri is a graduate of the Coaches Training Institute in San Rafael, CA. She has a B.S. degree in psychology from Tufts University and a Master’s degree in health services administration from Yale University. She is a past vice-president of the International Coach Federation-New England and a past president of the Yale Club of New Mexico.